Many people have asked why a lifelong finance professional like myself, with years of experience from large banks such as Capital One and Wells Fargo, would join a veteran-focused startup even though I’m not a veteran. While the answer might not be clear to some, it is very clear for me. My personal, very focused mission is to give back to veterans who have created this space for me to be free. 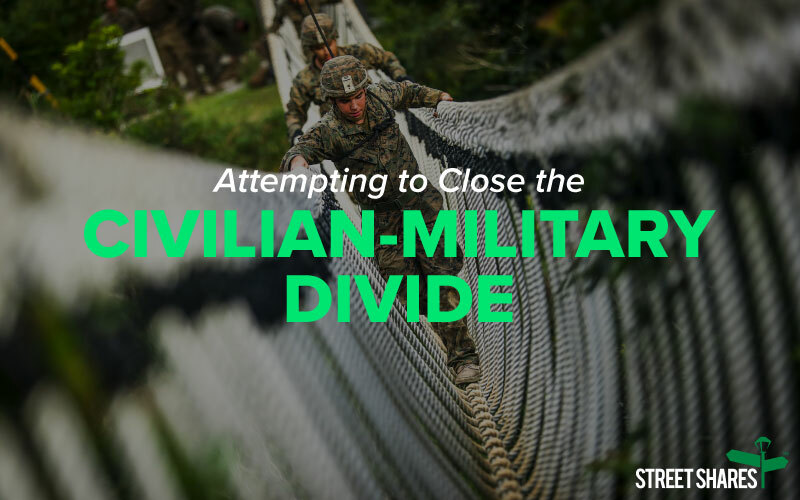 Some call actions like this an attempt to close the Civilian-Military divide. During World War II, more than 9 percent of the American adult population served in the military. In the past decade, less than 1 percent of Americans have served in the armed forces, according to the Pew Research Center. The result is that the younger population has less of a family connection with the military. For 18-29 year olds, just 33 percent have an immediate family member who served in the military, according to a survey by Pew Research Center, while 70 percent of adults aged 50 and older do. 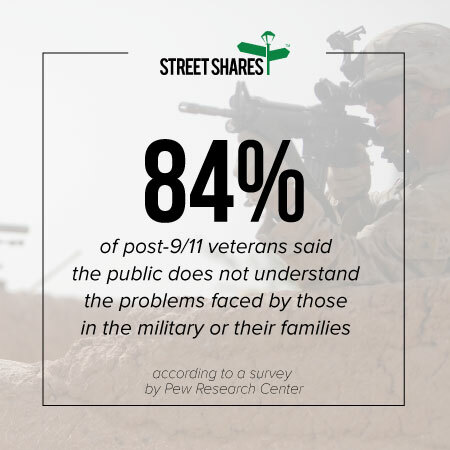 In another survey by the Pew Research Center, 84 percent of post-9/11 veterans said the public does not understand the problems faced by those in the military or their families and 71 percent of the public surveyed agrees. Since the 1950s, there has been a debate around the “presumed” cultural divide between our military personnel and civilians based on norms, values and decision differences. As we can see, this divide creates larger and smaller gaps at any given time all influenced by international conflict and who is in political office. Working at StreetShares is my personal attempt to help close the Civilian-Military gap. Learning about this community is what I love most about my job at StreetShares. I get to learn more about the military community and the journey they take both serving and acclimating back to the civilian world. I hear the most incredible stories that highlight the tenacity, drive, determination and grit that veterans possess making them the most successful small business owners in the country. The adaptation and ability to make it through difficult times comes easy to Veteran-Owned Small Businesses, which is needed to build a successful business. As the new Chief Product Officer, I am proud to be part of an organization so focused on serving its members and in awe at the military drive and passion demonstrated by the StreetShares team each and every day. Veterans have sacrificed so much, and I’m honored to help them build businesses that drive our economy. It’s time for veterans and the military community to have fully mobile, fully digital, next-generation financial products. Learn more about working at StreetShares. Heather, a graduate of the executive design school at Stanford University, now drives StreetShares’ user experience for both its lender and investor members. She will accelerate the growth of StreetShares lending and investment products to serve the company’s new and current members. Heather brings years of experience in product development and business leadership from Capital One, M&T Bank and Wells Fargo. 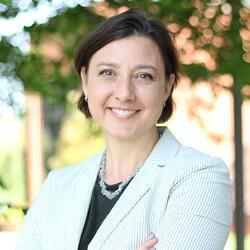 She led Capital One’s National Small Business digital product line including SparkBusiness.com and SparkPay.com. The products she worked on at Capital One received several awards. Spark Business Unlimited Checking received MONEY Magazine’s award for “Best Business Checking for Established Businesses” in 2013, 2014 and 2015. Spark Pay was also named “Overall Most Innovative” in the 2014 Monarch Innovation Awards. She also has experience in mergers and acquisitions, asset creation and investment trading, and has launched banking, investment and merchant products during her finance career. At StreetShares, Heather leads the product development of StreetShares’ small business lending products including small business loans, lines of credit and government contract financing. She’s also enhancing the experience of investor products such as Veteran Business Bonds, which allow the American public to participate in investing in main street and veteran small businesses, another piece of the puzzle to help close the Civilian-Military gap. We’ve developed a way for everyone to support veteran-owned businesses. With the Veteran Business Bonds 5% flat-rate investment bond, anyone can put funds in their accounts that go to work directly funding veteran-owned businesses through our business loans, lines of credit and government contract financing. For a limited time, we’ll give you up to $1,000 on your investment. Click here to learn more.